For under $30k you can find yourself driving a new mini crossover in the form of a Fiat 500X. This is the latest offering from Fiat, and it’s a great addition to the fun and exciting Fiat range. The 500X is the new Fiat 500 on steroids, boasts AWD and is a whole lot of fun. Spend some time with the 500X, and it soon becomes evident that Fiat has lifted their game in terms of quality and overall design. It’s a likable Car that guides Fiat into the small SUV class, for sure. What you notice when driving a small SUV like the new Fiat 500X is the high driving position and increased ground clearance, where both these attributes have their advantage. Riding higher than your standard sedans and hatchbacks means that in the 500X you’ll have a good view on the road ahead. Pedestrians and cyclists are seen that much sooner and you can even get a heads-up on the movement of vehicles ahead of you. The higher ground clearance also means that the Fiat 500X can tackle some tougher off-road tracks – particularly in the AWD models. Fiat’s Traction Plus two-wheel drive or optional four-wheel drive, credits the 500X with some good off-road skill. If you hope to spend some time in the great outdoors, then the more options that higher ground clearance plus AWD gives you will be a useful addition to your travel plans. Nosing down a picnic track becomes more doable when you have the right vehicle to tackle trickier terrain. Another bonus about running a small SUV is that running costs are generally lower than most vehicles. The Fiat 500X is easy to drive, too. If off-roading is not on the agenda for you, then the 2WD Fiat 500X is a great car for around town and is that much cheaper to run. It looks like Australia will offer the buyer with two petrol engine variants, both of which use the powerful and efficient 1.4-litre Turbo unit. Outputs for the two are 104 kW and 127 kW, respectively. These are remarkable figures that equate to some sparkling performance on the road. The more powerful petrol engine comes with an automatic gearbox and four-wheel drive. I’m hoping that the three diesel variants will also make their way to Australia, as the 104 kW 2.0-litre diesel engine would be a great runner for this type of vehicle. Manual or automatic would be offered with the 2.0-litre turbo-diesel engines. The Fiat 500X Petrol models are both refined and gutsy. Providing above average handling and a nice ride means that the 500X sits nicely on the road. The AWD version has a firm set-up and can be a little bouncy when the roads are rougher. Leg room is good, while there is good storage and boot space. 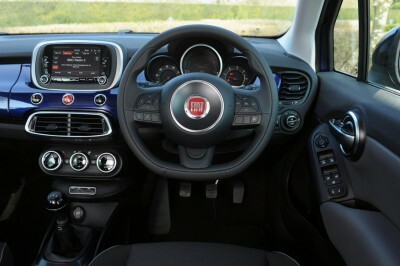 Four possibilities of trim ensure that the new 500X is well equipped with plenty of great features. Even the entry-level Pop has electric windows, a colour touchscreen, and air-conditioning. Pop Star trim adds a larger touchscreen, Bluetooth communications, a USB connection and alloy wheels. There is ample opportunity to personalise your own Fiat 500X. You are going to look good in a new Fiat 500X. They have an appealing design that sits well with most. Interior style continues with nice lines, materials and almost retro tastes evident in the modern Fiat 500X cabin. Tougher Euro NCAP crash testing guidelines have resulted in the Fiat 500X gaining a respectable four stars out of five. The car scores well for adult and child occupant protection, but suffers slightly in the lack of standard safety assistance technology. Fiat offers lane-departure warning and autonomous braking as options on the Fiat 500X, rather than including them as regular features. 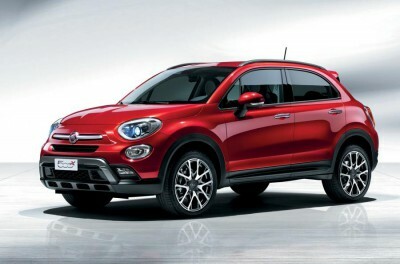 All Fiat 500X models come with anti-lock brakes, hill-start assistance and tyre-pressure monitoring systems. The Fiat 500X is stylish, economical and comfortable. This new small SUV leads the way forward for Fiat in an accomplished manner through 2016. Let’s keep our eyes open for the diesel variants, too. Other alternatives that you might like to compare the new Fiat 500X with would be the Nissan Juke, Suzuki Vitara, Renault Captur and Peugeot 2008. For any more information on the Fiat 500X or, for that matter, any other new car, contact one of our friendly consultants on 1300 303 181. If you’d like some fleet discount pricing (yes even for private buyers! ), we can submit vehicle quote requests out to our national network of Fiat dealers and come back with pricing within 24 hours. Private Fleet – car buying made easy!